The Trump administration is moving to cut off federal funding to any family health care clinics that refer patients to abortion providers or share medical facilities with them, the White House announced Friday evening. The new rule – which mirrors a Reagan-era regulation from the 1980s – would impose a "bright line" of physical and financial separation between taxpayer-funded family planning programs and "any program or facility where abortion is performed, supported, or referred for as a method of family planning," an administration official said. The Department of Health and Human Services will file the rule with the Office of Management and Budget. In a statement, the White House said the proposed rule "fulfills President Donald J. Trump’s promise to continue to improve women’s health and ensure that Federal funds are not used to fund the abortion industry in violation of the law." A pro-abortion rights supporter holds up a sign that reads "My Body. 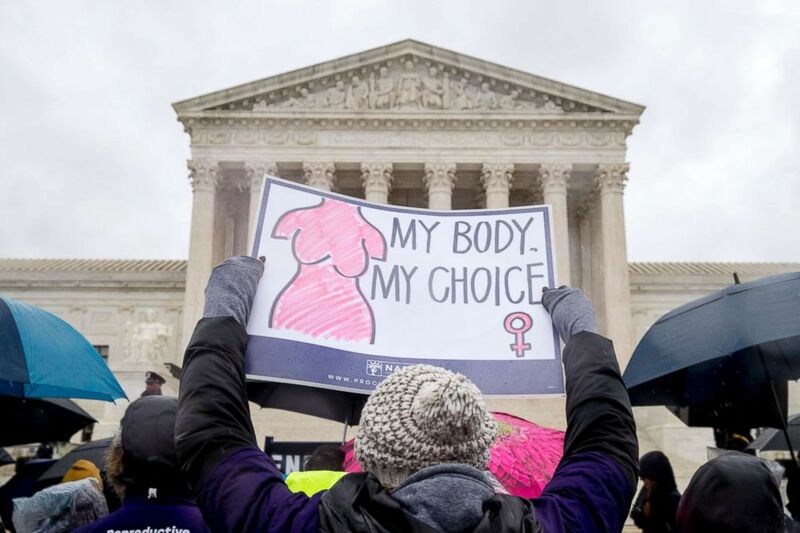 My Choice" during a rally outside the Supreme Court in Washington, March 20, 2018. The restrictions will apply to about $280 million in funding granted by Title X, a federal program that provides family planning services and preventive health services to more than 4 million people, mostly women and teens. Federal law already bans direct funding of abortions such as through Medicaid. The rule will roll back a Clinton-era requirement that abortion be discussed as an option with patients but won't prohibit counseling about abortion, according to the Trump administration. The new policy is viewed as targeting Planned Parenthood, whose clinics receive federal funding for family planning and preventive health care. Legal challenges are likely. Anti-abortion protesters gather at a demonstration outside a Planned Parenthood office, Feb. 11, 2017 in Washington, D.C.
Anti-abortion groups meanwhile hailed the planned move as fulfilling a key Trump campaign promise. 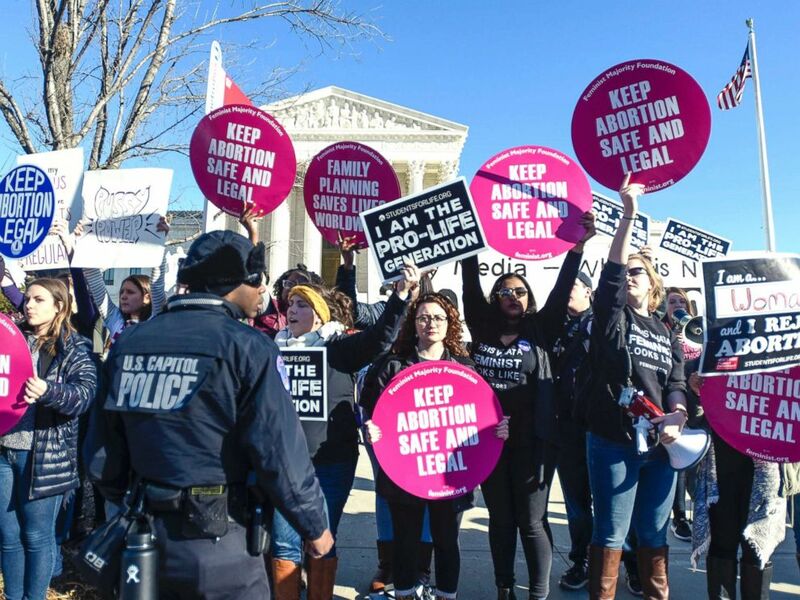 Abortion rights and anti-abortion rights advocates protest in front of the U.S. Supreme Court during the 2018 March for Life on Jan. 19, 2018, in Washington, D.C. 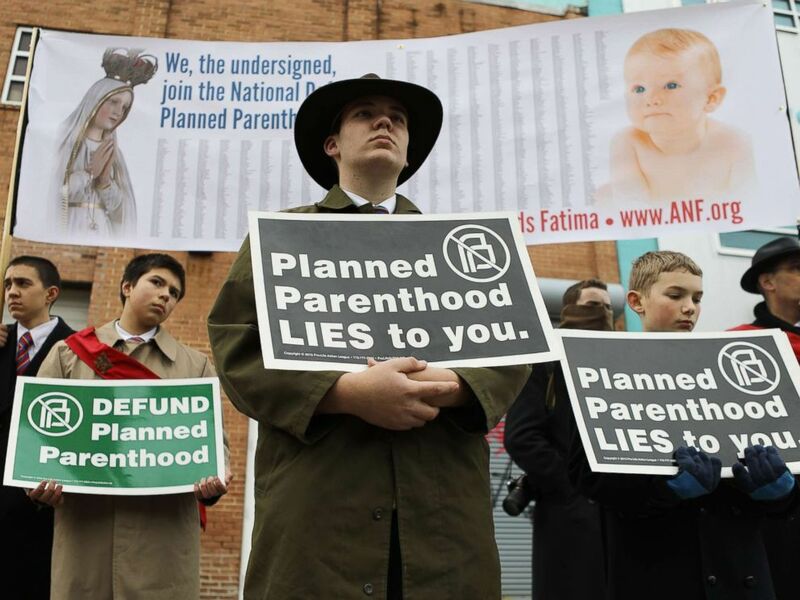 The administration said Planned Parenthood and family planning services will not be defunded. "The proposal will not cut funding for family planning services by one penny," an official said. 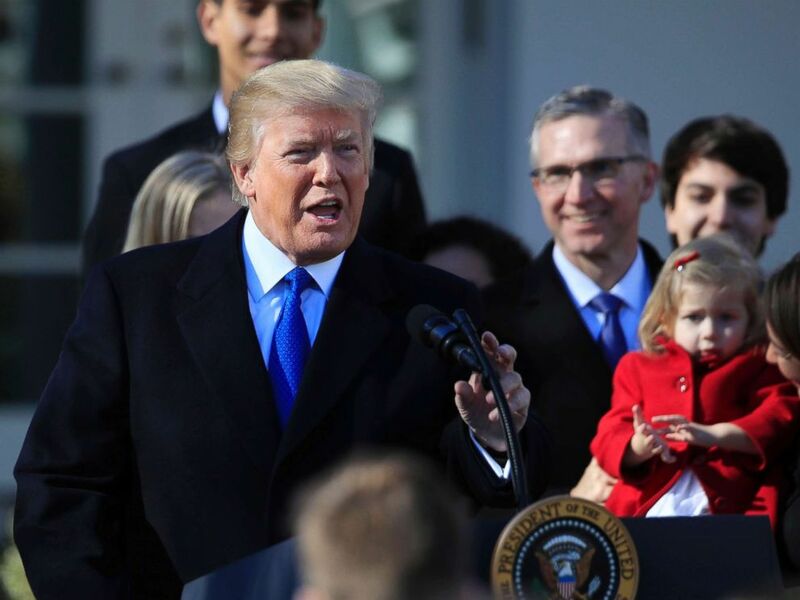 President Donald Trump speaks to participants of the annual March for Life event, in the Rose Garden of the White House in Washington, Jan. 19, 2018. The Trump administration has been aggressive in its support of anti-abortion measures. The president plans to keynote the anti-abortion Susan B. Anthony List's annual Campaign for Life Gala next Tuesday.